Last week it was announced that P&O Cruises Australia’s first newbuilding would instead be allocated to Carnival Cruise Line, from whence had sprung the design for this ship. 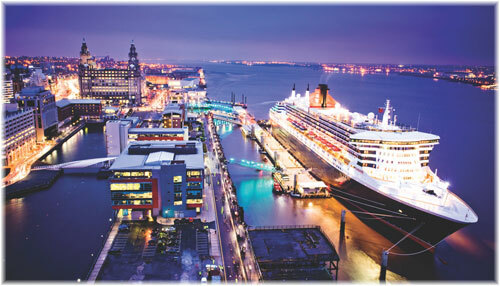 At the same time, Liverpool is looking to build a new cruise terminal and CMA CGM is introducing a new Europe-Caribbean cargo-passenger service from London. 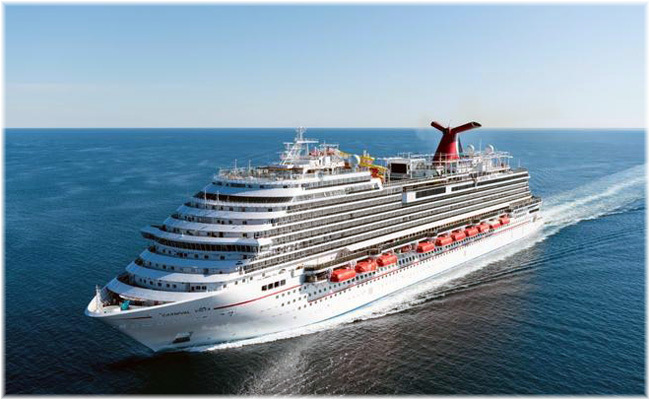 Carnival Corp & plc has decided to switch the dedicated 4,200-berth newbuilding for P&O Cruises Australia to Carnival Cruise Line, and instead send the nearly-new Carnival Splendor to P&O Australia in 2019 instead. 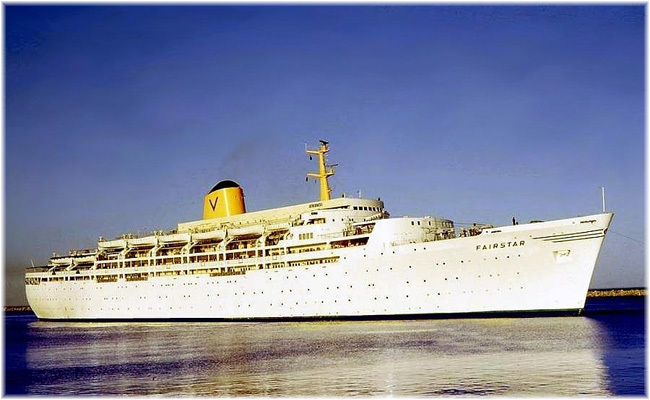 P&O Cruises Australia traces its roots back to the P&O Steam Navigation Company, whic operted its first cruises from Australia in 1932, and Sitmar Cruises, which latterly operated the 1,280-berth Fairstar from 1974 from Australia. The Fairstar had been engaged in the UK/Australia emigrant trade between 1964 and 1974 and finally left the fleet in January 1997. She in turn was replaced by the 900-berth Fair Princess from 1996 to 2000 and later the 1,250-berth Fairsky, both former Sitmar ships, while P&O Cruises ran the 1.500-berth Canberra and 840-berth Sea Princess for several seasons Down Under before the P&O and Sitmar interest wer merged into P&O Cruises Australia in 1988-89. Meawhile, Down Under, reports have begun to circulate that the new cruise ship had been deferred in part because of poor port facilities. Cruise New Zealand executive officer Kevin O’Sullivan said it was disappointing that the new 4,200-passenger ship planned for P&O Cruises Australia, the first planned specifically for the region, would not go ahead. This was also true of Royal Caribbean International’s new 4,180-berth Ovation of the Seas, when she made her recent inaugural voyage from Singapore to Australia. The new giant was unable to berth at Melbourne so local passengers had to disemarbark in Hobart, Tasmania, and fly home from there. An international search has been launched to find a technical team to help design a potential new cruise terminal on the River Mersey. Liverpool Council is seeking expert guidance on the design and development of plans for the new complex, which would be set for the former Princes Jetty off Princes Parade. The search is part of a proposal to create a new terminal capable of handling turnaround cruise ships holding up to 3,600 passengers. Any new terminal is expected to be located about 1,000 feet downriver from the current 2007 Pier Head base. The building is expected to consist of two storeys and be developed on land reclaimed from the River Mersey. Construction of a new quay wall and changes on Princes Parade to allow coaches are planned, as well as a new passenger and baggage terminal, passport control, vehicle pick up point and a car park. A Europe-wide notice has been placed inviting tenders for a technical team. The job would include the task of managing the facility’s delivery and construction, if the plan is approved, with a deadline for submissions by Monday, January 23, 2017. Earlier this year, CMA CGM transferred its four French-flag fleetmates that had formerly served in the regular French West Indies Line service between French ports and Martinique and Guadeloupe to a new route serving north Europe, Jamaica and ports in Central America. Now, the new London Gateway Terminal has become a prime base for this service. 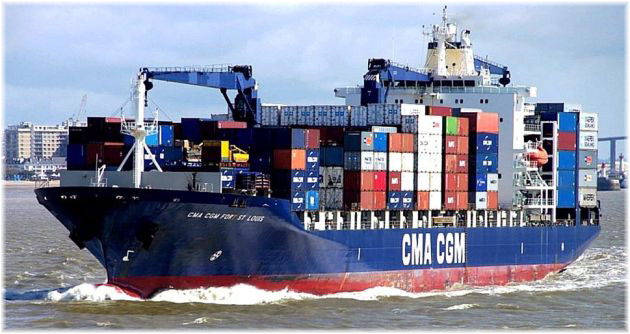 The four ships on this run, the CMA CGM Fort St Georges, Fort St Louis, Fort St Pierre and Fort Ste Marie, can carry a maximum of twelve passengers in an Owners cabin, four double cabins and two single cabins and come equipped with a swimming pool. The route has now been modified so that ships sail from London, Hamburg, Antwerp and Le Havre to Caucedo (Dominican Republic), Kingston (Jamaica), Santo Tomas de Castillo (Guatemala), Puerto Cortes (Honduras), Moin (Costa Rica) and then via Kingston back to Rotterdam. While the round voyage is 42 days, one-way voyages can also be booked to and from the Caribbean and a Kingston to Kingston round voyage takes 11 days.